Android tablet believers have been waiting for a true iPad Pro contender for quite some time now, and although the Pixel Slate is probably not it either, it may well be the best all-around alternative... that doesn’t run Windows 10. Formally unveiled alongside the Pixel 3 and 3 XL smartphones about a month ago, Google’s more mainstream sequel to the 2015 Pixel C is finally up for grabs. Unfortunately, you can merely pre-order the 12.3-inch powerhouse right now, but deliveries should be underway relatively quickly. Namely, the US online Google Store lists the three configurations currently in stock as shipping within two to three weeks, while Best Buy has a more specific November 22 release date that was actually prematurely revealed shortly after the formal Pixel Slate announcement. Finally, B&H Photo Video vaguely tells pre-order customers to expect the tablet to come “soon.” Naturally, there aren’t any price differences to note between the three official retail channels, although interestingly enough, the three variants set to ship from Google over the next few weeks are not the same as the three you can pre-order at Best Buy and B&H. The latter two retailers let you choose from models priced at $799, $999, and $1,599 with Intel Core m3, Core i5, and Core i7 inside respectively, whereas the $799 version is actually the priciest you can get at the official Google Store right now. The search giant also offers cheaper Intel Celeron configurations with 4GB RAM and 32GB storage and 8/64 gigs at $599 and $699 respectively. 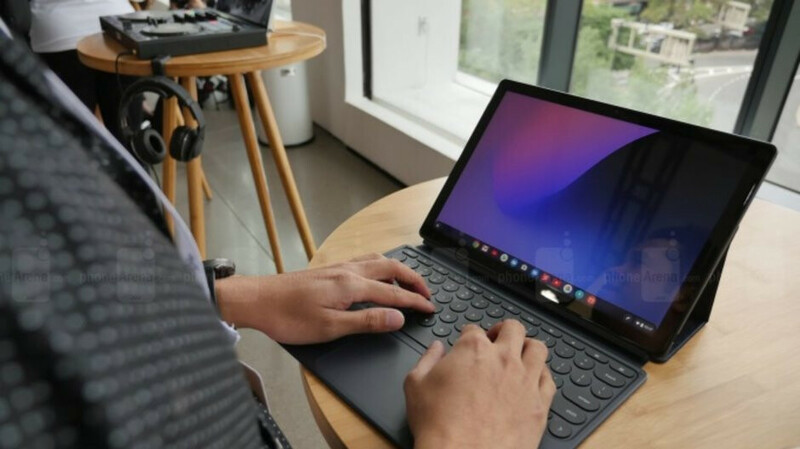 Across the board, the Pixel Slate technically runs Chrome OS on the software side of things (with full support for Android apps), while sporting a sharp 3000 x 2000 “Molecular” display. One of the key selling points is actually a keyboard you need to separately buy at $199, also listed as shipping from November 22 over at Best Buy. There’s also a sanctioned third-party Brydge G-Type Bluetooth wireless option that’s “coming soon” to B&H Photo Video at a recommended price of $160. The iPad was announced last week and releases today. You gotta do better than that google. Everyone knows that the 22nd is Thanksgiving. Are we expected to believe that this tablet will be released on a major holiday? Have never known that to happen. Release date just seems like a placeholder. Pen experience is a pure disaster on this device + no 3,5mm jack. No, thank you. I’m good, this just give me that JANKY vibe. Same with the Samsung Galaxy Tab S4.